As technology advances, so do the lengths that hackers will go to compromise a site. It is a sad online reality - hackers are not going away, and there is always the potential for malicious attacks against your website. The key to keeping your site safe is prevention - having security measures in place and working with a dedicated hosting provider that also focuses on providing the highest measures of security available will ensure that your site is as secure as possible in our current digital age. 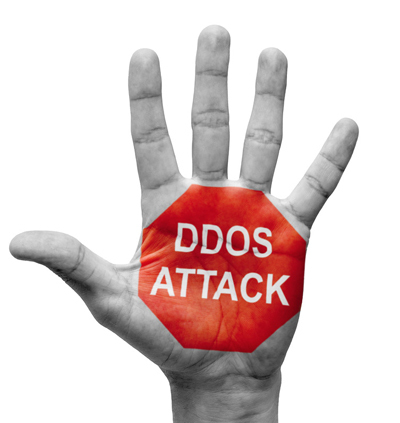 One of the most prevalent concerns is the distributed denial of service (DDOS) attack. This type of breach attempts to make system and network resources unavailable to customers and employees of the website by interrupting a host system connected to the Internet. In 2013 the number of DDOS attacks skyrocketed, bringing about concern and awareness of the issue, as well as a number of solutions to prevent future attacks. In many cases, these DDOS attacks are launched against sites that are hosted by large, well-known web servers. The growing threat of DDOS attacks has made it necessary for hosting providers to ramp up their security in order to protect their clients. One form of protection is the web application firewall (WAF). This type of firewall is designed to block or limit traffic that does not show the signature of a typical website visitor. Another viable solution for hosting providers is a partnership with dedicated security services that offer a simple one-click solution for their customers. These security services understand how DDOS attacks occur, and have developed sophisticated measures to keep them from happening. Every company worries about their website being compromised - the key is to work with a hosting provider that understands the current security issues, and has actively made the moves necessary to provide the highest level of protection. Unfortunately, the threat of online attacks will always be present, but if you have questions or concerns about the security of your site, please contact Endlayer today. As a hosting provider, website security is one of our main priorities, and we are continually updating our systems to ensure that the protection we provide is second to none.